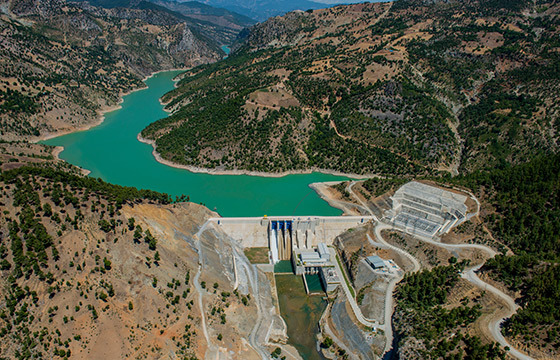 The Cindere Dam and HEPP in Denizli has been constructed on the Greater Maeander River which is one of the major water resources in the region. 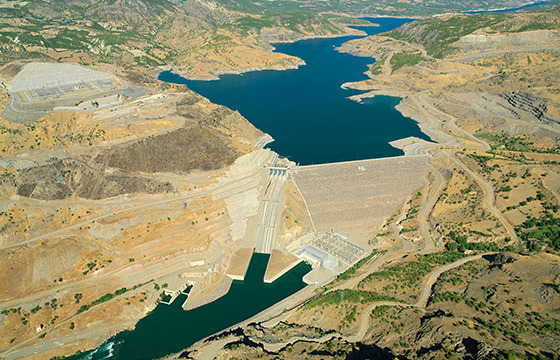 The dam constructed for irrigation purposes in Beydağ, İzmir is one of the Roller Compacted Concrete type dams as well. 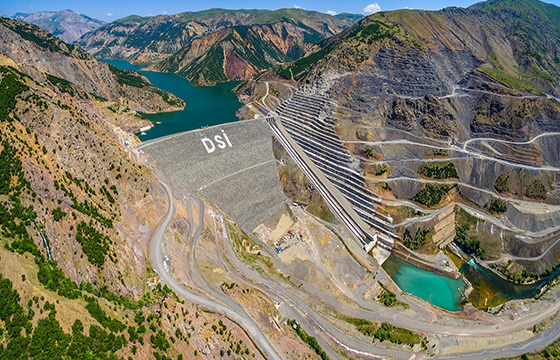 The construction of Kiğı Dam and HEPP over the Euphrates River within the borders of Bingöl Province has been completed. 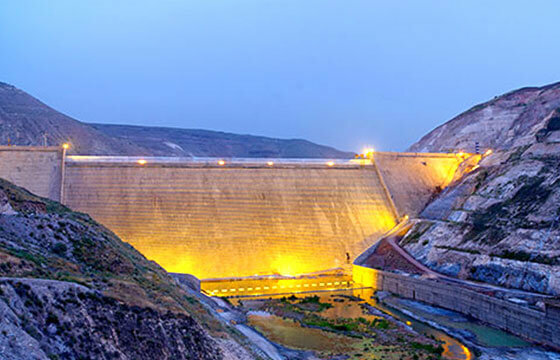 The Al- Wehdah Dam, which is one of the very successful projects of by Özaltın Construction, was constructed across the Yarmouk River in Jordan. 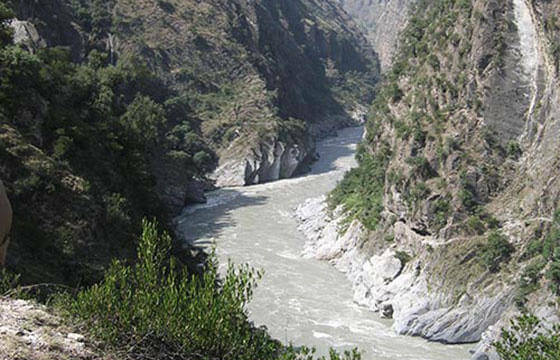 The Sawalkot Dam and HEPP, which is located in India, is being constructed across the Chenab River. 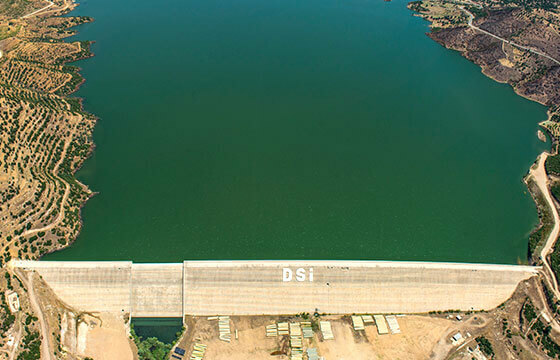 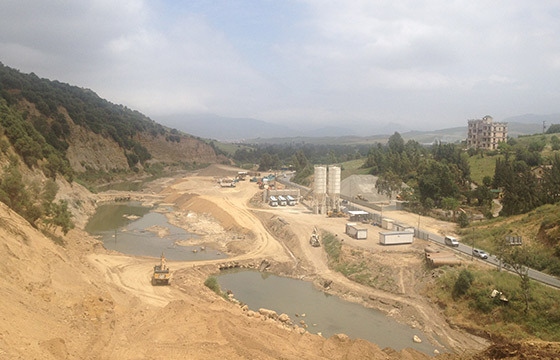 As a Roller Compacted Concrete dam, the Sawalkot Dam's body volume is 1.885.000 m3. 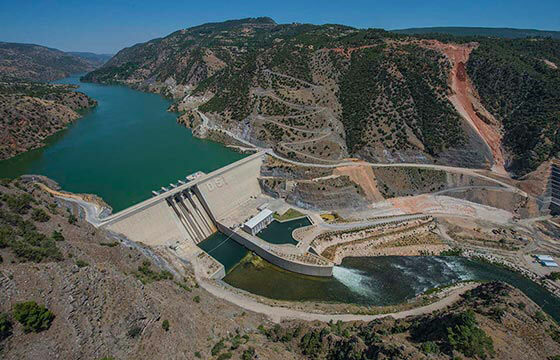 The Köprü Dam, which was constructed by the consortium where Özaltın Construction has 50% of the shares, was constructed on the Seyhan River in Adana. 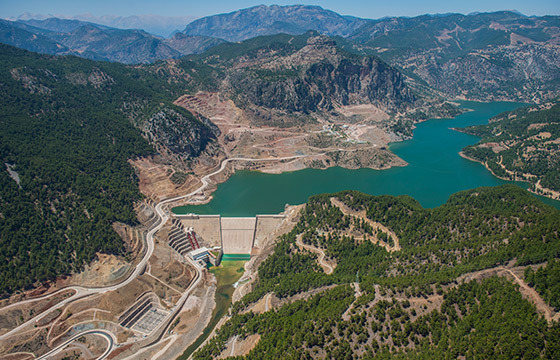 The Menge Dam, which was constructed by the consortium where Özaltın Construction has 50% of the shares, was constructed on the Seyhan River in Adana. 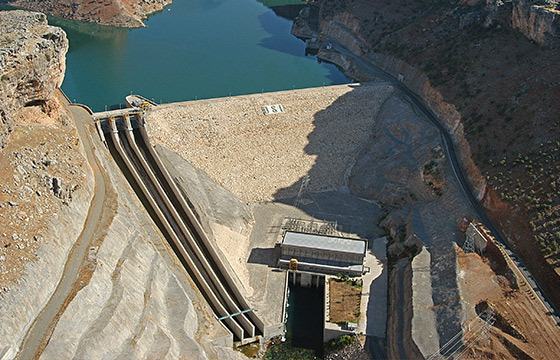 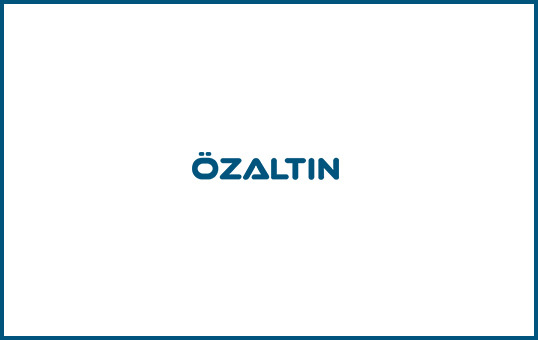 The Souktleta Dam, which will be constructed by the consortium where Özaltın Construction holds 40% of the shares, is in Algeria.